FALL SEASON REGISTRATION IS NOW OPEN!!! Hello everyone. Now that spring registration is over, the coaches will be reaching out with team information such as practice days and times. And now we must move along and think about the fall soccer season. 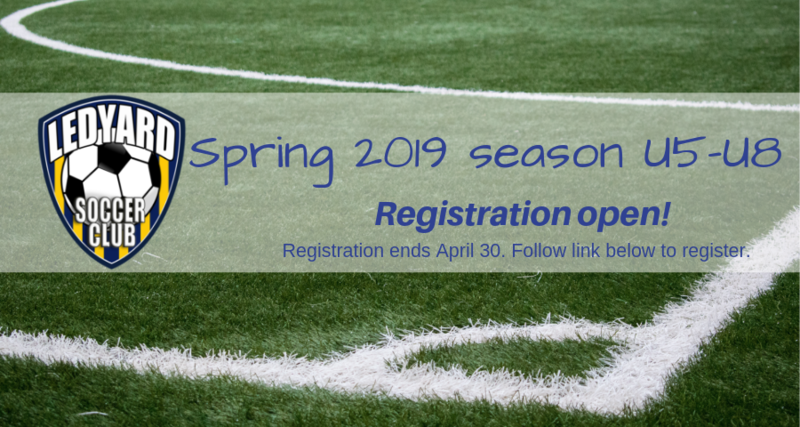 Registration for the fall season is now open until May 31st. Here are some notes about the new registration system. We are transitioning from SI Play to Stack Sports. Stack Sports provides additional capabilities and brings everyone online in the same program. Everyone will need to create a new account when registering. You will need the following information and documentation in order to complete the registration. Go to the following link to register ( ledyard.cjsalive.org ). Fall Uniforms (Only applicable to U9 through U15) - The current uniform is still valid for the spring season. However it has gone through its life cycle and will no longer be available. Uniform manufacturers no longer guarantee uniforms past 3 years thus requiring a new set. All U9 through U15 players will be required to purchase a new uniform for the fall season. The club has been working with the manufacturer on the details. More information and the link for the new uniforms will be sent out once details are set and the link is activated by the company.